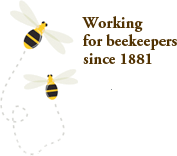 The term ‘OBA' or 'Ontario Beekeepers' Association' or 'us' or 'we' refers to the owner of the website whose office is 8560 Tremaine Rd. Box 476 Milton, ON L9T 4Z1, Canada. The term 'you' refers to the user or viewer of our website.